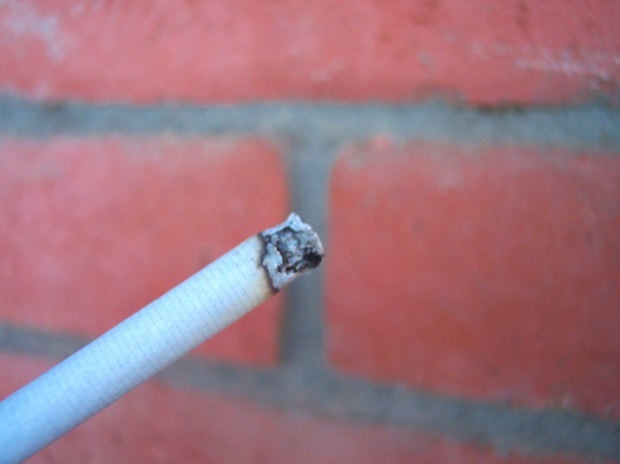 Why Does Smoking Lead To Emphysema? It is no great revelation that smoking is detrimental to your health. Study after study has shown its devastation effects from chronic bronchitis to heart disease to cancer. It is also well known that smoking can lead to emphysema. While this may be common knowledge, just how it occurs remains a mystery for many people. So how does smoking lead to emphysema? It begins the very first time you inhale. The smoke from the tobacco immediately stimulates the immune system so that inflammation occurs within the lung cells. This activity has a direct link to emphysema. There was a time when doctors believed that this inflammation was independent of emphysema, but now research has shown that it actually leads to the disease. It can also lead to cancer. Researchers studied the effects of tobacco smoke on mice. They reproduced the conditions of a person smoking. Within four months the mice developed lung disease. What scientists discovered was that there were key genes as well as specific inflammatory cells that were critical in the development of the condition. Scientists then removed the lungs from the sick mice and transplanted them in mice that had never experienced smoke exposure. Within three months those healthy mice also began developing lung disease. The common denominator in these groups of mice is that they all had the gene osteopontin which is responsible for initiating the inflammation that leads to lung disease. Mice that did not possess osteopontin did not develop lung disease or emphysema. This evidence should be compelling enough to warrant quitting smoking. Cigarette smoke causes damage to your lungs and can result in emphysema, but it also damages your DNA and certain genes which can make you even more likely to develop certain conditions. If you are a smoker, it is imperative that you quit immediately. There are several ways you can go about it. The nicotine patch has been said to be very effective in many people. Certain prescription medications are also effective. But those things are not enough. You may need to make some lifestyle changed in order to completely quit. See, the psychological grip that smoking has is as powerful as the physical craving – sometimes even more so. Your doctor can help you quit smoking, and the Lung Association has many tips for quitting and becoming smoke free.